70 Years in Music. This is an account in words and pictures of how Charlie Watkins got involved in the music biz ! 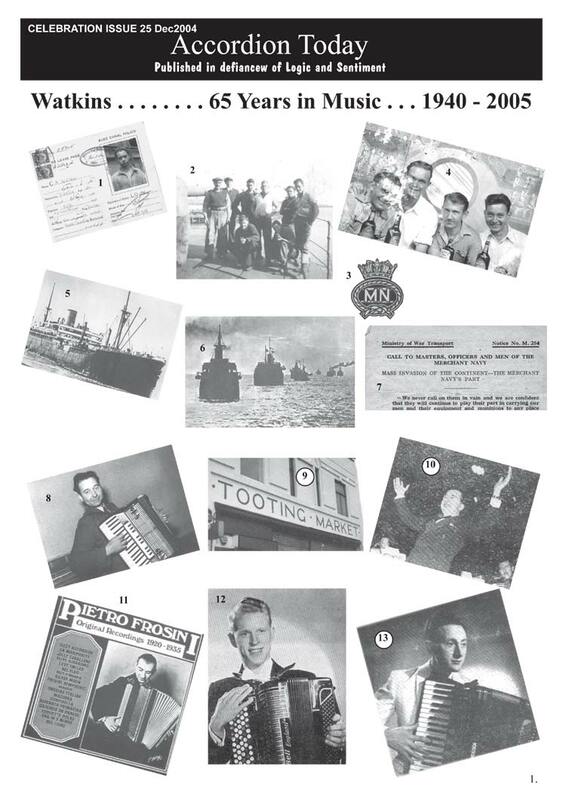 This is the first 65 years, reproduced from our 'Accordion Today' magazine. This is Page 1 : Click here to go to Page 2: - explanatory text follows.